Haunted houses are opening their doors and horror movies are taking over your tube… Halloween must be right around the corner! As ghouls, goblins, princesses, and super heroes will soon roam the streets in search of sweet treats, think about your own Hallow’s Eve party with your friends and neighbors. It’s all about decorations: An important part of any party is the decorations. 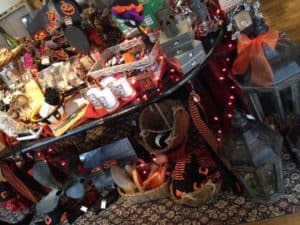 But when it comes to a Halloween party, decorations are absolutely everything. Your decor will set the spooky mood for the entire night, and sets it apart from all other parties you’ve hosted before. So, think about creating a spooky space in every room a guest will enter (yes, even the bathroom!) with creepy decor. Your guests will have a howling good time wondering what’s lurking just around every corner! Cast a spooky glow: An automatic way to change the ambience of the room is to swap out your everyday lightbulbs with a colored variety. 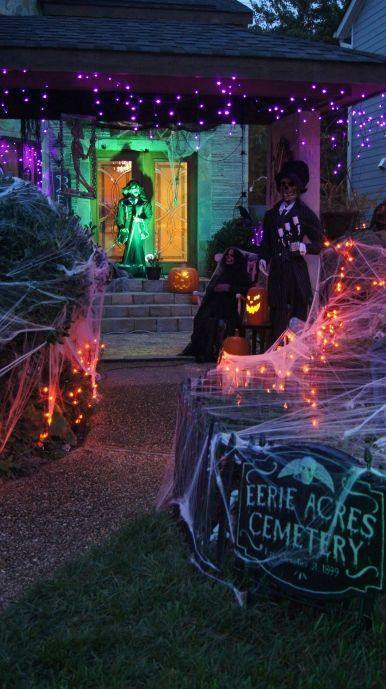 Whether it’s orange, purple, or even green, it will give your home the ghoulish glow. You can also add some string lights around your home for added ambiance. 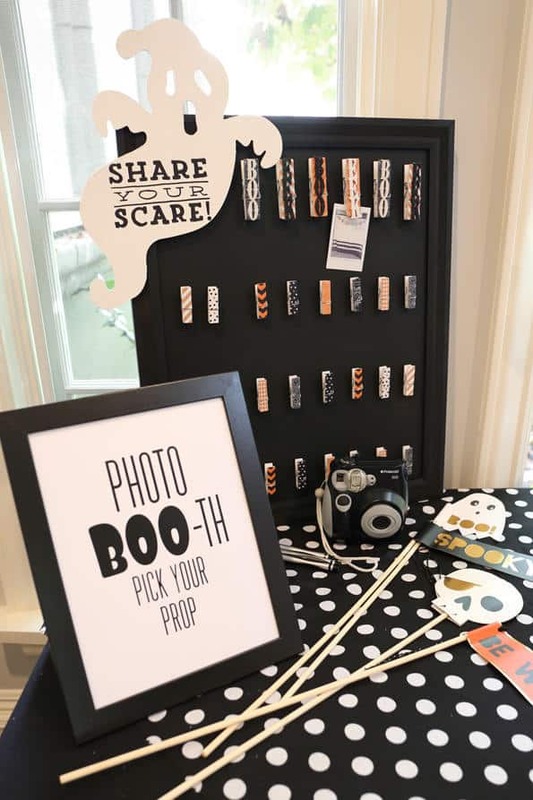 Set up a photo booth: Your guests will be all decked out in their creepy costumes, so why not give them a chance to capture the moment forever? 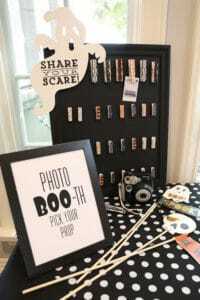 Setting up a booth can be as simple as getting a big piece of fabric to hang as your backdrop and picking up a few props for guests to incorporate into their photos. They can take the pictures with their phones and immediately post to social media. Or you can get fancy and have a single camera for guests to use and then post-party, share all the photos with your friends at once! Create a whimsical tablescape: Whether you’ll be sitting down for dinner or you’re just serving light bites, your dining room table will likely be used and/or seen, so don’t get tricked into a boring tablescape. 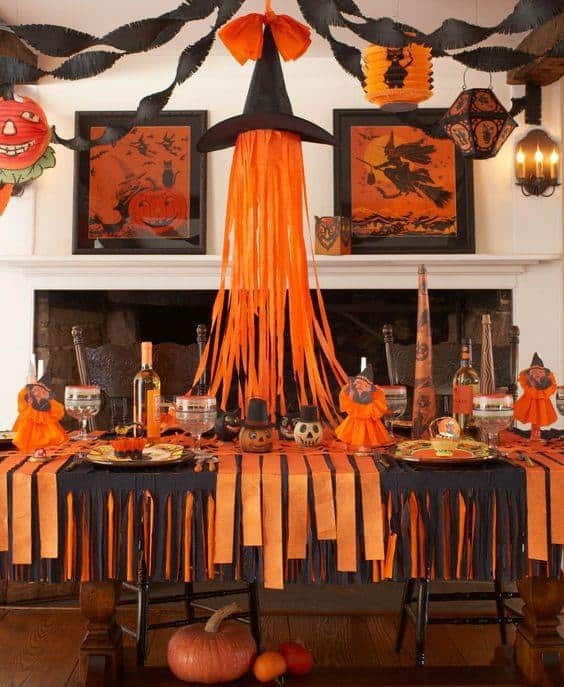 You’ve got scary decor all around the house, though, which is why we suggest making your tablescape easier to look at (and won’t give the kids nightmares!). 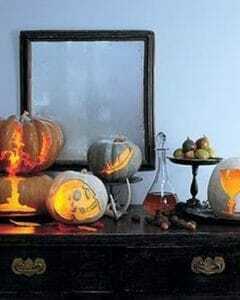 One great way to add a whimsical look to your centerpiece is to place candles (teacup candles or even artificial ones will work) inside hollowed out pumpkins. It’ll give them a nice, warm glow and the smell of pumpkin will be even better. Give out treat bags: No one is ever too old for a treat bag. 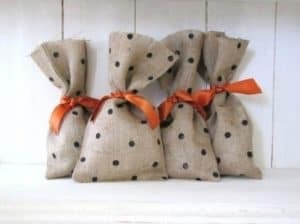 When thinking of what types of items to put in those goodie bags, visit A Village Gift Shop at the Century House for a wide selection of items that are perfect to send home with guests. At A Village Gift Shop, we also carry a variety of decor items to make your Halloween party the best one on the block! Stop by today on historic Glendale Square to pick up your supplies!